AHP readers may be interested in a recent special issue from Neurosurgical Focus on “Neurosurgery, Psychiatry, and Function: The History of Altering Behavior, Thought, and Function Through Neurosurgery.” Full titles, authors, and abstract follow below. “Introduction. Neurosurgery, psychiatry, and function: the history of altering behavior, thought, and function through neurosurgery,” by Mark C. Preul, MD, T. Forcht Dagi, MD, Charles J. Prestigiacomo, MD, and Chris A. Sloffer, MD, MBA. No abstract. Fifty years before a report on the complete bitemporal lobectomy syndrome in primates, known as the Klüver-Bucy syndrome, was published, 2 talented investigators working at the University College in London, England—neurologist Sanger Brown and physiologist Edward Schäfer—also made this discovery. The title of their work was “An investigation into the functions of the occipital and temporal lobes of the monkey’s brain,” and it involved excisional brain surgery in 12 monkeys. They were particularly interested in the then-disputed primary cortical locations relating to vision and hearing. However, following extensive bilateral temporal lobe excisions in 2 monkeys, they noted peculiar behavior including apparent loss of memory and intelligence resembling “idiocy.” These investigators recognized most of the behavioral findings that later came to be known as the Klüver-Bucy syndrome. However, they were working within the late-19th-century framework of cerebral cortical localizations of basic motor and sensory functions. Details of the Brown and Schäfer study and a glimpse of the neurological thinking of that period is presented. 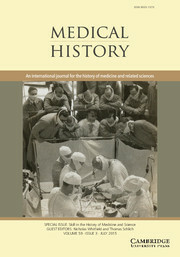 In the decades following the pivotal work of Klüver and Bucy in the late 1930s, in which they used a more advanced neurosurgical technique, tools of behavioral observations, and analysis of brain sections after euthanasia, investigators have elaborated the full components of the clinical syndrome and the extent of their resections. Other neuroscientists sought to isolate and determine the specific temporal neocortical, medial temporal, and deep limbic structures responsible for various visual and complex behavioral deficits. No doubt, Klüver and Bucy’s contribution led to a great expansion in attention given to the limbic system’s role in action, perception, emotion, and affect—a tide that continues to the present time. The belief that surgery on the skull and brain could cure afflictions of the mind may appear out of place in the 1920s, coming as it did many years before the Portuguese neurologist Egas Moniz developed a psychosurgical technique in which the connections between the prefrontal cortex and the rest of the brain were severed in an attempt to alleviate symptoms of mental illness (the prefrontal leucotomy or lobotomy, first performed in 1935). The full post can be read online here.